The Indian Space Research Organisation (ISRO) chairman A.S. Kiran Kumar recently disclosed in an interview that the space agency is planning a revolutionary change in Indian industry and might take the privatisation route for the Polar Satellite Launch Vehicle (PSLV) within the next four years. The operations of the four-stage PSLV will be shifted to an industrial consortium Antrix Corporation, which is ISRO’s commercial arm. Kiran Kumar added that once the complete plan materialises, the integration and launch of the rocket will be handled by Antrix and that they will discuss this with industry leaders at ‘Make in India’ week. When asked how would this help the country, he explained that the advantage of largely privatising the PSLV operations is to boost its capacity and then slowly increase the rate of launches from 12 to 18 annually. He further added that if the plan takes off, it will very much be like the United Launch Alliance (ULA) of the US, where they run a joint venture between Lockheed Martin and Boeing Company. The alliance formed in 2006 now provides a cost-efficient access to space for US missions. 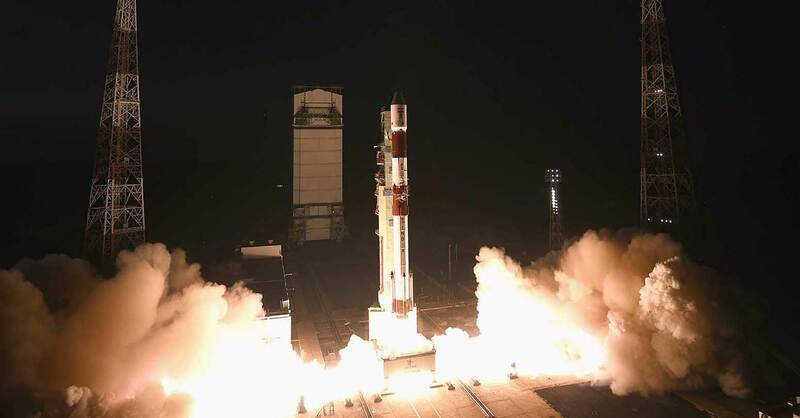 India’s PSLV made it’s first launch back in September 1993 and since then has notched up 33 missions till date. Out of these 33 missions, they have faced just one failure – during its maiden flight in 1993. Since then all the missions have been successful and that, in turn, has earned it a global recognition as one of the most successful rockets in the world.